This uncommon eastern U.S. native is a member of the Sumac Family (also called the Cashew family). Smoketree typically reaches approximately 25-40 feet in height. When found, it is often associated with alkaline soils. This plant is much more arboreal than the common smokebush that is more familiar in the nursery trade. It has been shown to be stem hardy to -25�F. The spatulate leaf is twice the size of the common smokebush with the blade as much as 3 inches long. The blue-green leaf gives the plant a bold texture in the summer. The American smoketree is one of the finest native trees we have when it comes to fall color. The brilliant fall color ranges from yellow to red and combined with leaves which become translucent in autumn is very showy, some say it almost fluorescent. Multiple colors can occur on the same tree. The plant is dioecoius with the male considered by some to have better fall color. Fall color is best when the tree is grown in bright sun and on poorer, dry soils. Fruit is small and sparingly set, and squirrels tend to collect the unripened seeds before they fall. The flowering panicle while not quite as as showy as the common smokebush panicle, is still quite attractive. The attractive scaled bark is also an asset. Spring leaves emerge bronze to purple. The smokey spring flowers and brilliant fall color combine to make this tree highly ornamental. 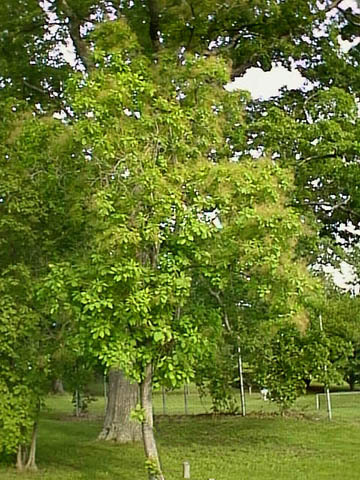 The main weakness of the tree is its susceptibility to verticillium wilt. The American smoketree, however, appears to be less susceptible to verticillium Common (or European) smokebush. In fact, verticillium most often is brought with the tree from the nursery rather than from the planting site. Better quality control at the nursery level is the key to reducing this problem. Insects and pathogen problems are rare. The wood varies from bright yellow to orange and is quite rot-resistant. It's durability has been compared to eastern red cedar and is used for fenceposts and walkingsticks. Cotinus obovatus can be grown as a tree or multi-stemmed shrub, it is available in the nursery trade, and most often in tree form. In its natural habitat the tree grows in poor, alkaline, rocky soils. The tree prefers full sun, and is fairly drought resistant, conversely, it will not tolerate flooding or excessive moisture very well. It is mildly sensitive to soil compaction. As might be expected of a member of the sumac family the American smoketree shows adaptability to disturbed sites. Tree prefers a pH of 6.5-8.0, but will grow in more acidic soils. 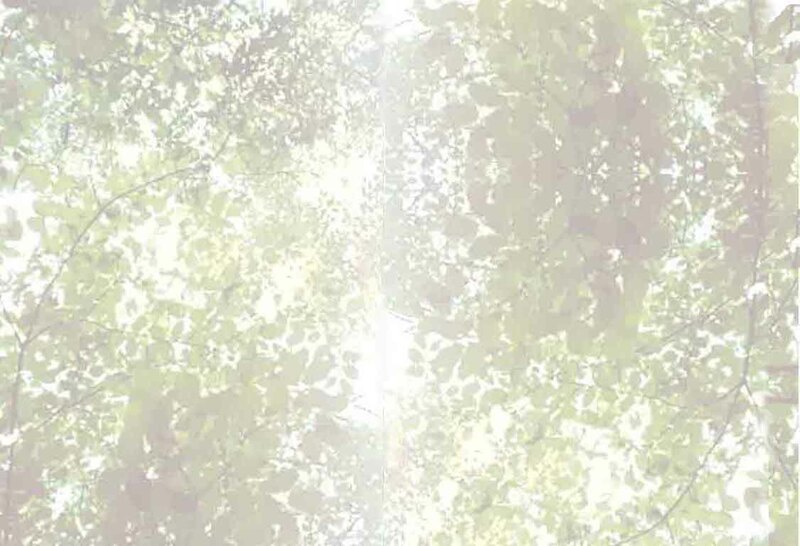 Some interesting notes: American Smoke tree was extirpated from much of its natural range in the latter half of the 19th Century as a result of human activity. It now reproduces slowly in the wild and as a result has become rather rare. In 1984 the National arboretum distributed a large number of vegetatively propagated Cotinus obovatus nationwide in an attempt to encourage commercial production of the plant, and re-establish it throughout the county. A number of growers are currently developing selections based on fall color. American Smoke Tree has the most potential when planted as a single stemmed tree. It could be planted under powerlines, should do well in parking islands, and in raised containers. As a multi-stemmed shrub it could provide very ornamental massing. Alkaline soil tolerance, small size and showy fall color should give this rare native a place in the urban scene. Additional References: Koller, D.L., and Shadow, D.O. American Smoketree American Nurseryman. 155(9). pp. 155-161. 1984. If you have pictures of this tree in urban use that you would like to donate for use on this site, please contact the webmaster.